Transport for London (TfL) will be offering guided tours of the Underground's most iconic artworks to promote its new Art Tube Map. The Art Tube Map is the first comprehensive guide to art works on the Underground and will be available in all zone one stations. To mark its launch, TfL will run 90-minute tours on 24 July to showcase the artwork that has been added to the Underground network since the Art on the Underground programme was formed in 2000. The collection includes pieces by Daniel Buren, Jacqueline Poncelet, John Maine, Knut Henrik Henriksen, and Mark Wallinger. 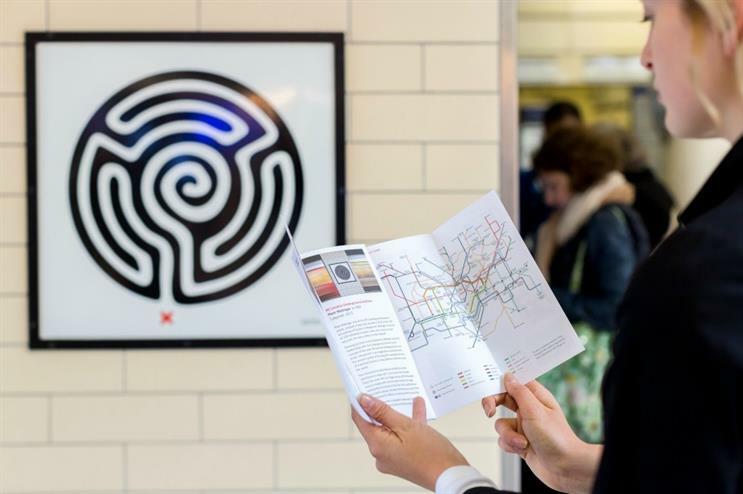 Wallinger produced the 2013 ‘Labyrinth’, which includes a work of art for every one of the Tube’s 270 stations. Other artworks have been installed on the Tube network over the last 150 years, and these will also be covered in the tours, including sculptor Jacob Epstein's 'Day’ and ‘Night' sculptures at St James’s Park station, which created public outrage when unveiled in 1929. The tour will also stop at Tottenham Court Road station to see Eduardo Paolozzi’s famous mosaics. There will also be a free panel discussion on Thursday 21 July at the London Transport Museum. At the session, artists Jacqueline Poncelet and Zineb Sedira will discuss the programme and the ideas behind their work. Eleanor Pinfield, head of Art on the Underground, said: "Art on the Underground continues the legacy of London Underground’s visionary managing director, Frank Pick, commissioning artists to create unique works for the enjoyment of our customers. The Art Map is the first map that celebrates this programme that has created extraordinary projects making art accessible for everyone, every day." This week, TfL announced it is touring the city this summer with an experiential roadshow encouraging the public to start cycling. Earlier this year it created a one-off story time experience on the Emirates Air Line cable car in celebration of World Book Day.